Self-care doesn't just happen. It is a developed skill that requires commitment, support, and a desire to thrive. The SheFrist Project offers educational opportunities and community support to help women learn the art of self-care. You'll find an overview of our current programs, below. Check out our events page for upcoming program offerings and events near you. Articles Club (think book club, but we read articles instead) is a quarterly, in-person meet-up to discuss articles that address issues important to women and are related to the topic of self-care. Articles Club provides an opportunity for The SheFirst community to connect and learn from each other in a relaxed setting. Articles Club meetings are currently hosted in Charlotte, NC and Washington, DC. We are currently looking to expand to Atlanta, GA and New York, NY. Interested? Apply to be a host. Articles Club not yet offered in your city, but you want in on the self-care literacy action? Join our virtual book club! Each summer, the book club selects a woman-authored book that's relevant to one of our Pillars of Self-Care Success. Participants then read the book selection over an 8-week period. From weekly live discussions to social media updates, participants have multiple ways to join the discussion from the comfort of their home, office, car ... you get the point. 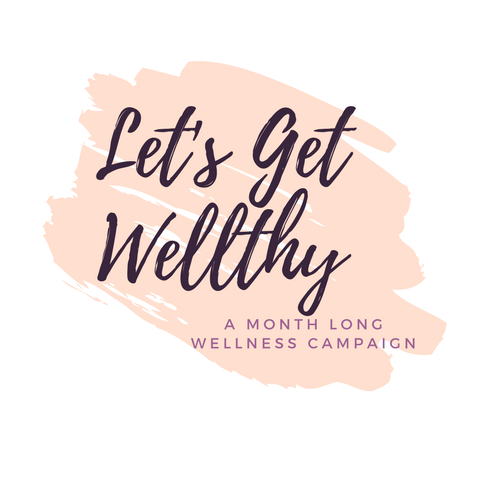 Let's Get Wellthy is a month-long, national campaign to increase awareness about the self-care needs of women and the unique challenges they face. Held in September during National Self-Care Awareness Month, the campaign includes a 30-day self-care challenge along with webinars, workshops, and other events.